This raspberry color is beautiful. I mixed some colors to get this. I get tired of painting the same colors. We all know the neutrals sell great but colors are really selling too now. I sell a lot of color. I am glad since it really goes with my name...Dreamingincolor! 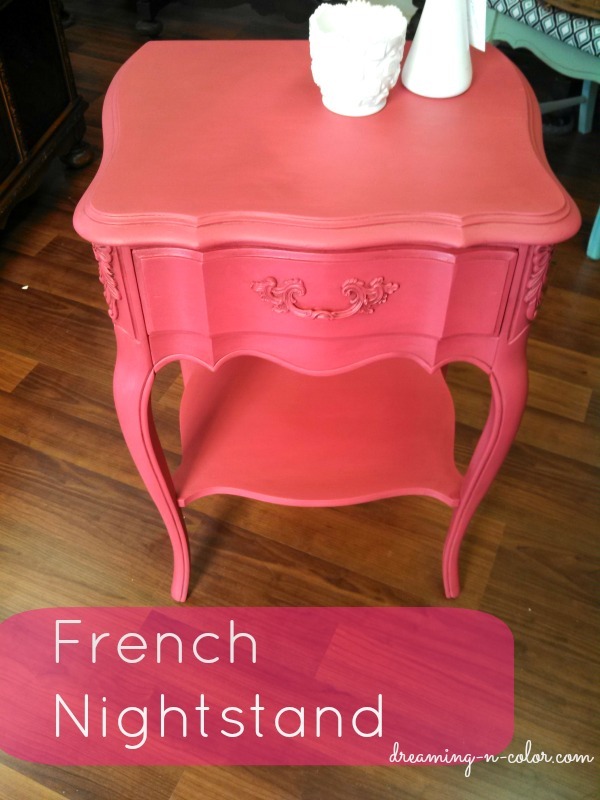 This french nightstand was screaming PINK! Continue reading for more inspiration! Thanks so much for stopping in to read my post today! I am over at OLD TIME POTTERY sharing how to get ready for spring by brightening up your front door with an Umbrella Spring Wreath. Head on over to learn how to do this in 30 minutes!! Gosh...never in a million years would I have thought I would be here. 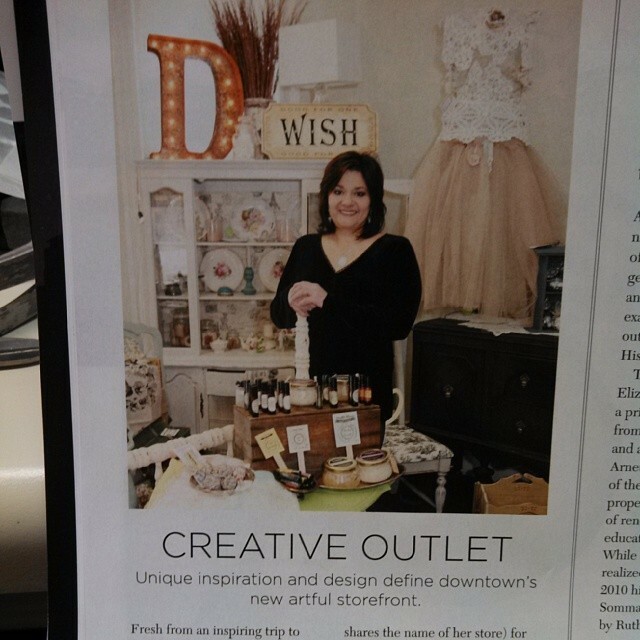 Here...getting hired to blog, opening my own business and now being in a magazine! I want you to know that life has never been easy. I have had a lot of ups and downs. One thing I think I have always done is I never give up. I know it takes a lot. I am blessed to have good family and friends to boost me up and help me when I need it. Love french furniture and applying different painting techniques. That is what I am known for at my store. Something I always tried to do also on my blog. 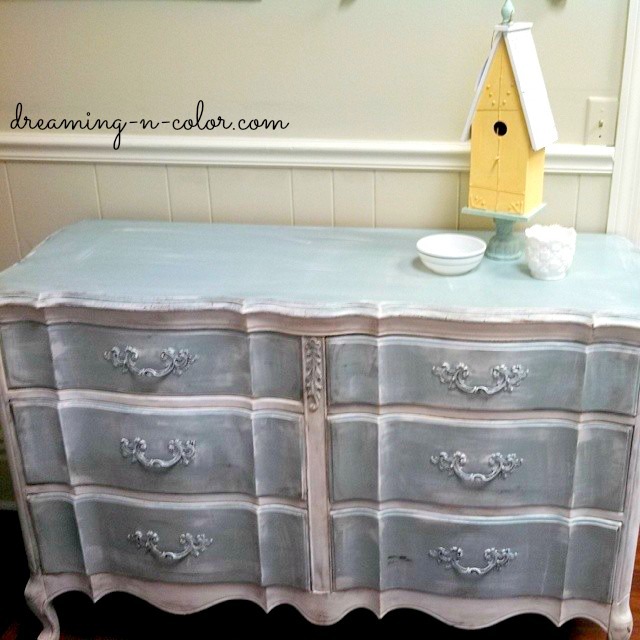 Like when I painted my blue and white dresser! But now I had a pretty french provincial dresser to makeover. I am in love with this project and just had to share this with you today! 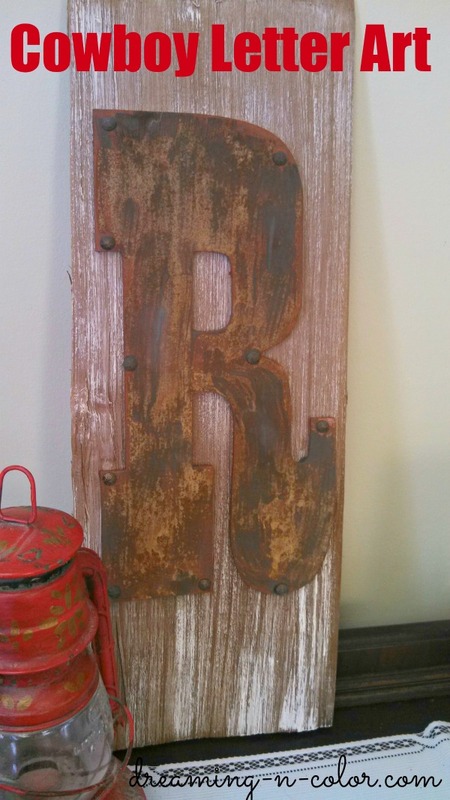 I love pallet art and have worked with different mediums to achieve a creative look from time to time. So when I was approached by Modern Masters to review this effects paint, I was so excited. To be honest, I didn't think it would work. At the least, I didn't think it would look good! That was till I used it for my Cowboy Pallet Art! Artist are all over the store Dreamingincolor! This was my dream! To have all sorts of artist's creations available for sale in one place. We have such a mix. Audrey sold! So sad and happy to see her go. Love the art pieces that make these special. 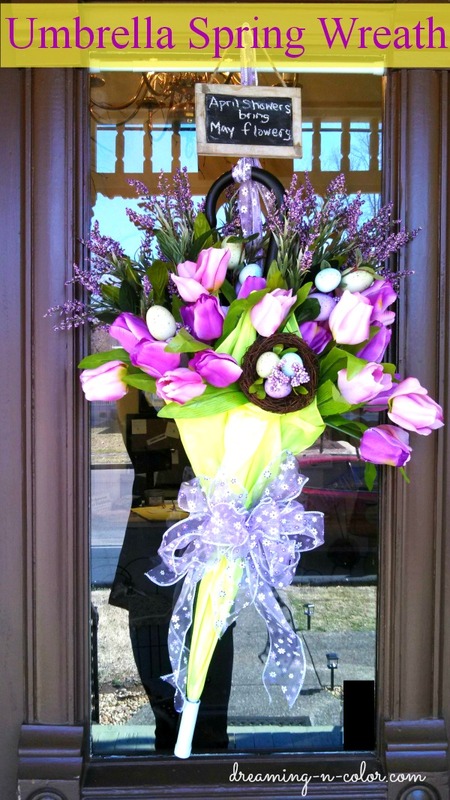 My new artist exclusive to Dreamingincolor and Murfreesboro TN is Bobby Boyd Designs. 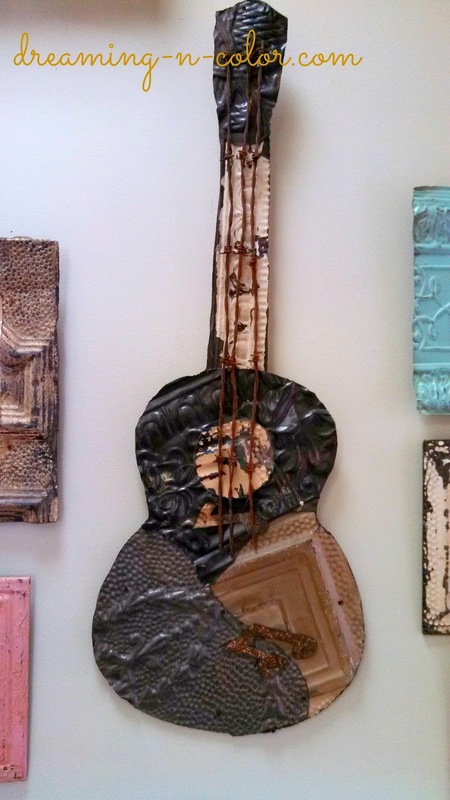 He creates his masterpieces with old vintage ceiling tins.